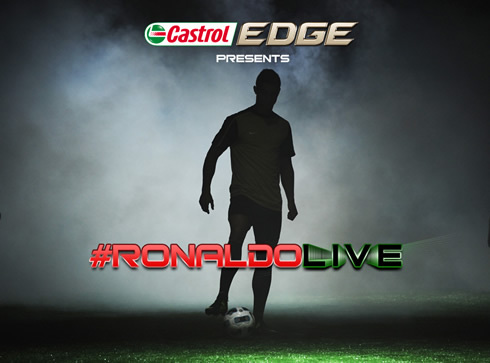 Ronaldo and Castrol Edge will partner up once more, this time to mark the 2011 documentary (Tested to the Limit) free release on iTunes. This Thursday, Cristiano Ronaldo will participate in a new game/experience that is going to be streamed live on Facebook (Link). All fans are invited to follow and interact with CR7, simply by selecting which targets the Portuguese star should shoot at, during the test. 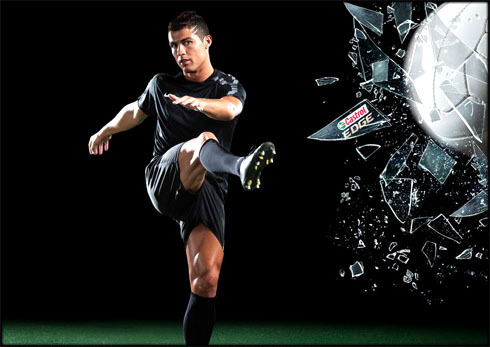 On September 8, 2011, SkySports broadcasted to the World a Castrol Edge's documentary about Cristiano Ronaldo, that unveiled many of the Portuguese strenghts and abilities. The film was titled "Cristiano Ronaldo: Tested to the Limit" and any football fan worth his salt must have seen it somewhere in the past. With almost 9 months passed since the documentary got released, Castrol and Ronaldo are now up for a new challenge, this time to landmark the film being made available for free on iTunes. This Thursday (17-05-2012), Ronaldo will be put to the test once more, but this time in a single game/event streamed live and that's precisely where fans will be able to interact and make part of this challenge, all through Facebook (link to the application). In order to participate in this game, you should sign up on Castrol's Facebook application - #RonaldoLIVE (link to the application), since that's where everyone will be able to follow the streaming being broadcasted live and obviously, where Cristiano Ronaldo will appear. What happens next, is that only the first 100.000 fans connectting to the application will be elected as valid candidates for a few random picks made by Castrol. Those lucky picks (we don't know how many persons/fans will be granted the chance to participate in the game), will then take part in the live action, by choosing which goals and targets should Cristiano Ronaldo shoot at. 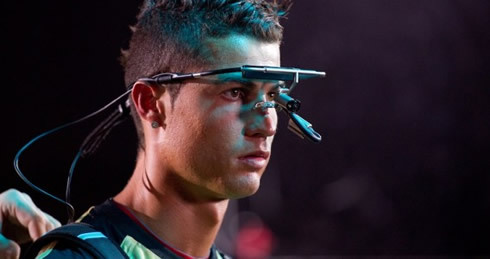 The game itself will consist on balls being thrown at Ronaldo from the air, but one at time and at specific intervals. The Real Madrid forward will then have to collect/receive the balls as fast as possible and fire them at the targets that the fans will be picking. The challenge will require a lot of speed, since the intervals between the balls that are to be dropped are expected to be very small, as well as a high shooting accuracy under pressure, in order to don't miss the targets. If there's anyone in the World who can combine these abilities all at once, it will surely be Ronaldo! Don't miss this unique chance of following Ronaldo performing on a live challenge. We don't know at what exact time the game/test will begin, but stay tuned to Cristiano Ronaldo's Official Facebook page (Link), as well as Castrol Edge's application (Link) and more news will certainly be released this Thursday. For those who happen to miss this live streaming challenge, you may watch it next week on the 23rd of May (Wednesday), since the video will be released on Castrol Edge's Youtube channel (Link). Real Madrid's season is now over and there are no games left in the club's schedule until the pre-seasons starts over, by July 2012. Cristiano Ronaldo's next game will be for Portugal, in a friendly game against Macedonia, on May 26, in order to start preparing the EURO 2012. You can watch Juventus live stream, Portugal vs Macedonia, Barcelona vs Athletic Bilbao, Bayern Munich vs Chelsea and Juventus vs Napoli, all from our football live streams section. Cristiano Ronaldo will most likely be on the line-up, when Portugal hosts Macedonia.